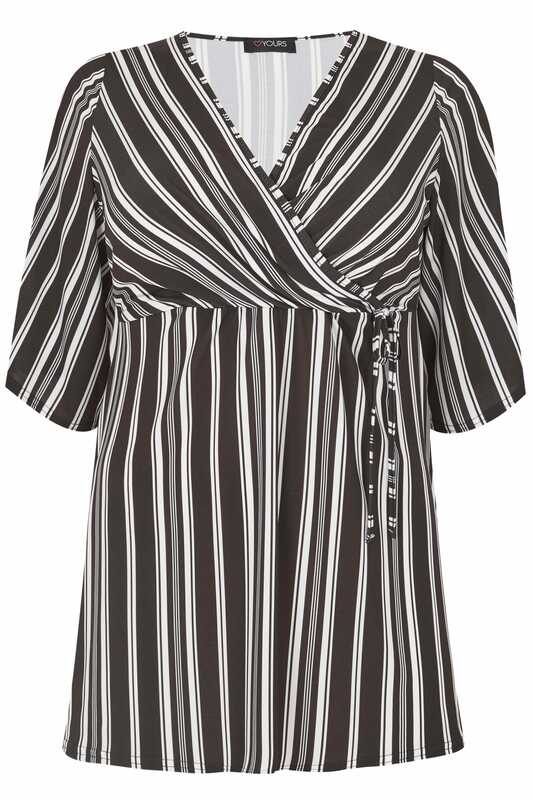 Earn your fashion stripes with this flattering wrap front blouse. In an easy pull-on design, it features an applique tie fastening on the waist and 3/4 length sleeves. Team with black skinny jeans and heeled sandals for effortless evening appeal. 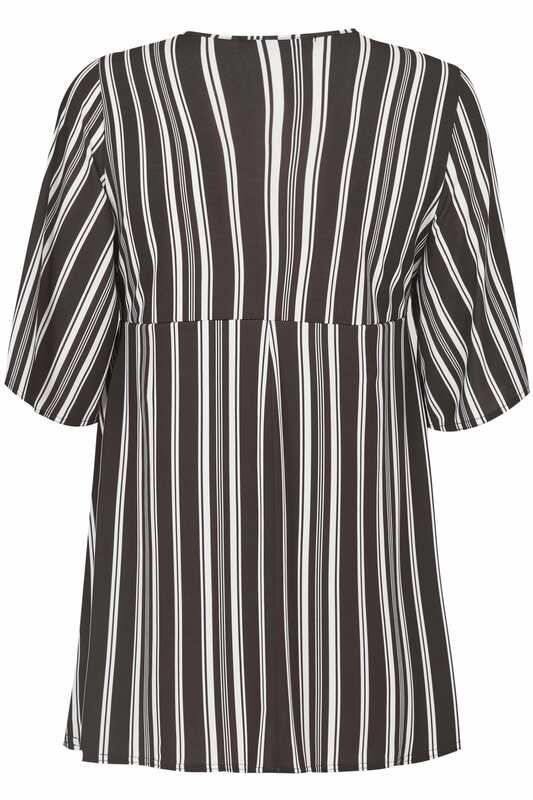 Monochrome is massive this season.